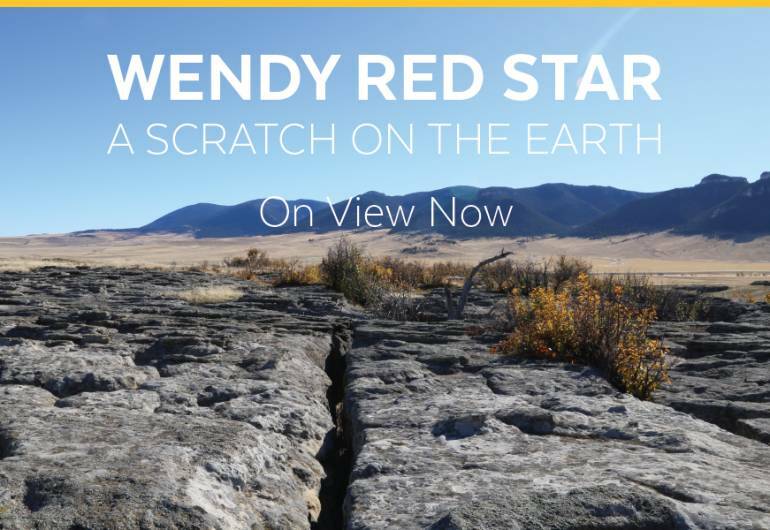 Wendy Red Star: A Scratch on the Earth is a mid-career survey of the work of Portland artist Wendy Red Star (born 1981, Billings, Montana). Drawing on pop culture, conceptual art strategies, and the Crow traditions within which she was raised, Red Star pushes photography in new directions—from self-portraiture to photo-collage and mixed media—to bring to life her unique perspective on American history. An enrolled member of the Apsáalooke (Crow) Tribe, Red Star works across disciplines to explore the intersections of Native American ideologies and colonialist structures. With more than 40 works highlighting Red Star’s production from 2006 to 2019, the exhibition includes photography, textiles, and film and sound installations. At the heart of the exhibition a new immersive video will be screened inside a sweat lodge constructed by the artist. 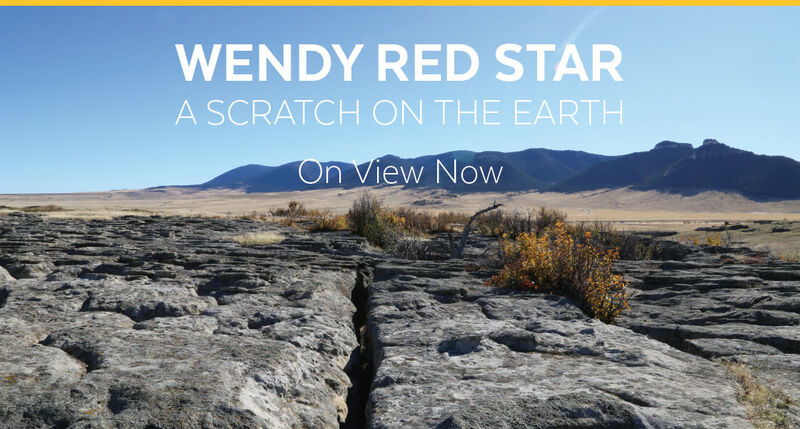 The Indigenous roots of feminism, the importance of family, Crow mythology, the history of the Montana landscape, and the pageantry of Crow Fest are among the subjects Red Star explores in her work. A Scratch on the Earth also highlights how boundaries between cultural, racial, social, and gender lines are reinforced in America, and how these lines blur across time and place. The exhibition is organized by the Newark Musuem, and is curated by Nadiah Rivera Fellah, guest curator, and Tricia Lauglin Bloom, Curator of American Art at the Newark Musuem.